And that is all for your Domoticz server! Now it is time to setup your Pilot app! And there you go! Your Domoticz server and your app are now fully setup. It is now time to create our first event. It will trigger whatever action you want when your smartphone gets or leave home. Send an email when your smartphone leaves home. With this very simple example, you should be good to create your own events. And we are done! Your two events are now created and activated, and will send an email whenver your iPhone gets and leaves home! I was very happy to find Your app! It works smoothly and I am looking forwards to your further developments. What I cannot get to work is the location function. I bought the full version, followed your domoticz tutorial, installed the switch but alas! Is it necessary to be very specific about the format of the location description? Do you use that as a location finder or do you use the coordinates stored in domoticz? Do I need to contact my domoticz server from the outside or can I also use my inside IP address? Did you try to switch on/off manually from your Domoticz panel? That way you’ll be sure that the issue comes from your iPhone not sending the correct signal. Then, your server needs to be accessible from the outside. If not, you won’t be able to connect to your Domoticz server. As for the format of the location description, I’m using the Google Maps API, so if you can locate your home on Google Maps with the same location description, it will work just fine on Pilot. I am working on a new feature that will show you on a map where the home location is defined + a button to locate your current position. Both those features will be in version 1.1. That way you will be able to double check the location was saved at the good place. I followed your suggestions. I can operate the switch from within Domoticz, server can be reached from the outside and I checked my location on Google maps. All ok. Guess your app will be working now! Hopefully it should work a bit better now, yes! My journey was not exactly smooth as I’d planned & I thought I’d share, in case it helps anyone else. I went for the test emails – all cool, then I went for turning on scenes, so I set up “bright evening in” (which turns on my living-room lights and TV) and conversely “Click_boooooooo” (which turns off every device that can be switched on – I was trying to imitate the noise you get when turning off big things). I stumbled a bit on 2 issues. First was that the action “active” on “set scene” is not the same as “on” (“on” is what you need). Second was that if you’ve locked down yor Domoticz server to only trusted IPs from the outside, then your iPhone on its 3G connection is probably not going to be able to get in! After fixing those issues, I do seem to have a transitional error on the way out of the house, in that the pilot tells me “you’re out – take it steady” but immediately after, I get an “Error while sending your current location to the server” message and when I check with Domoticz on the phone, all the lights etc are still on and also the iPhone “dummy” switch (I then turned off the stuff (with the iPhone switch) and drove home to test the return setup – I say drove, because the location is a bit “wide” for my liking many tens of meters (even with the slider at minimum) – I’d prefer a bit more accuracy, but that’s not your fault, I don’t think). Thanks for your thorough feedback! About your first issue, can you be a bit more explicit? Scenes only have one trigger button, so it should send the only command available: “on”. As for your second issue, (IP protection/whitelist), this will be fixed in version 1.2.1! As for the error while sending to the server, do you get this message all the time? Or only a few times at random? The only thing coming to my mind is that you might have ran out of network right when it triggered the “left home” event, hence the error. I gotta check if I can improve that. The location radius can’t be more little. It’s already at the very limit of what Apple suggests. It is technically possible to lower the home radius, but this has huge impact on accuracy and battery usage. I am doing my best to make the location feature as trouble-free as possible, so thank you for reporting those issues, this can only help improve the user experience. Please let me know if you run into other issues! Indeed, my aim is only to help improve things – it’s fun! I’ve knocked up some screenshots (“a picture is worth a thousand words”) and a few notes on my site – I might well expand on them as I learn stuff. This looks good. Is it geo fencing that your app uses? I carefully followed your tuto, nevertheless I did not succeed to switch on the dummy switch!! Do you have any idea, where does come from the issue? Can you be a bit more specific? 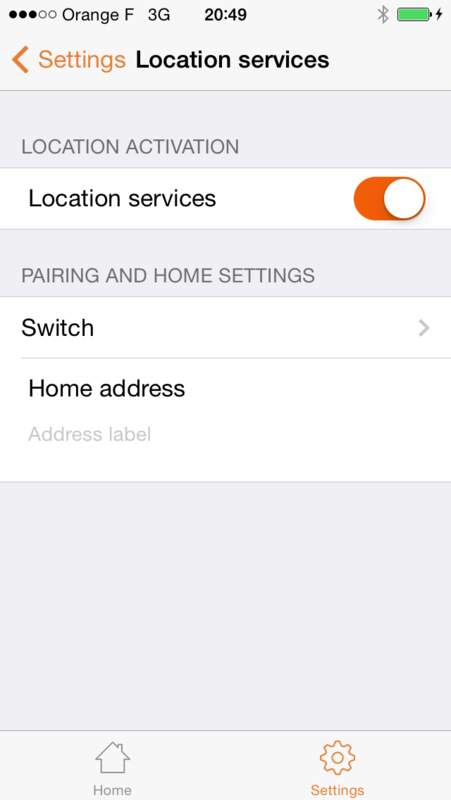 Can you enable notifications in the location service settings, see if it sends your current location? You can also try triggering the dummy switch yourself in Domoticz, see if it works. On my iPhone 5c I have pilot set up with my full domain name as the address with port forwarding for 443 to my Domoticz server. SSL, self signed certificate, requires login all selected. Username and login as set in Domoticz added. My iPad, in contrast, seems to operate without issue on same settings. Pilot on iPad continues to work so server is still functioning. There is an issue when using self-signed certificates. What happens is that the connection works for 10 minutes, then stops working. I am working on a fix to fix that issue. In the meantime, the only fix I can give you is to use a signed certificate: you can get one for free with StartSSL. Before I purchase the full version of you app (I will do for sure in the future though 🙂 ) i need to know only one thing. Does the pilot app needs to runn on the iPhone to work? What I mean is, on the pilot app you enable location services. But i can imagine that the Pilot app does the geofencing and needs to “run” on the iPhone to give a signal to the Domoticz server. Of course I will not have the app “running” all the time on my iPhone and therefore I can understand some automated task through blocky will not work. Please correct me if I am wrong! The location services will keep working even when you close the app. By closing the app, I mean double tap the home button, and close the app from the app launcher. I purchased the full version and followed the tutorial to the letter. Unfortunately no lights were triggered when I arrived at home yesterday. Now I deleted everything and set it up from scratch to check if it works when I come home today. Is there a way to check if everything is set up the right way? When it doesn’t work, does it help to turn off the iPhone a few minutes and then back on to see if any changes might work, or do I have to leave the house and come back again….? I’d love to see this work. Oh, and could you add something like a check for the Sunset? So: when the sun has set, then I’d like the lights in the hall to turn on and not whenever I arrive at home during the daytime. Please make sure your server is up and running” regulary. I noticed this, sometimes when i’m on 3G and i open the app then there is a error “can’t connect to the server”, then i push “retry” a few times without succes, then i go to settings >> server settings>> account>> change nothing >> Done, go back and then i have connection?? yesterday en today everything works fine. Let’s say 3-4 times out of 10 i got “the connection server” error. My 3G coverage is very good so this couldn’t be the problem. That’s kinda weird. Are you still getting those issues? Let me know what version of Domoticz you’re using and what kind of login authentication you’re using. After reading and testing the Pilot app and following the Domoticz forum I decided to purchase the full version to support your work. But if I want to upgrade to the full version it’s impossible to do this in the Pilot app. How can I upgrade? You can’t buy the app? Now that’s weird! I guess you clicked on the “unlock badge” icon, then pressed “Purchase”? Are you getting an error message or something? I use pilot with a iphone 5, but when i click on “Donnees” button the app crash ! and close. – Do you have free/full version of the app? – Do you have rooms setup in your Domoticz installation? Also I can control switches using the app, it’s only the location services (the only reason I bought this app) that is not working. Under location services my Home Address is correct and the Switch is set to “15” which is my iPhone (lightning1, X10). When I start to drive around in my car with the iPhone in my pocket there is simply no event triggered. The logs show no activity. Unfortenately there is no “test-button” inside the app or a logfile indicating possible problems and it’s not possbile to see what commands are sent or what URL is called. That’s weird, can you access your home server with the same address, from inside and outside your network? I didn’t leave the couch and neither has my iphone, however it’s being signalled as out, than right after that it’s being signalled as being home. My assumption is that it has to do with the wifi switching off on the iphone, the reason why doing this with a ping doesn’t work..
How is your avg network coverage? Good, bad, average? iOS geofencing relies mainly on WIFI and network coverage to detect your current position, so bad coverage might explain why it’s having a hard time locating you, resulting in poor results. Can you can try using geofancy on iOS for testing purposes, see if you’re having the same kind of issues. If results are different, there might a bug in my app. Otherwise it might be a bit trickier. Installed it but not sure what to check with it.. When I check the screen wifi is on so location is very accurate. google maps, geofancy, apple maps, they all show my location correct. My bad.. Although I removed the previous ping-check from the crontab it was still running as the cron started a separate process.. that was marking my iphone as out to the house as it couldn’t ping it..
Let me know if you got any other questions/suggestions! I love your app and have purchased the full version. When the app works it is truly superb. I use it to swicth lights on when i arrive home and off when I leave. i also use it to send me alerts such as “Garage Door Open” if I leave home and forget to shut the garage. The only problem is that I find the app very very unrelaible. About one time in 5 it correctly detects my arrival / leaving and when it does the lights and alerts work perfectly. The trouble is that 4 times in 5 Pilot doesnt report my departure or arrival and so Domoticz doesn’t take the necessary action. How can I troubleshoot this and find the issue. I have good 4G signal around my house and also a good healthy wireless signal. Hi Kevin, are you still getting this issue with iOS 9? It appears iOS 9 handles geolocation a bit better than iOS 8, at least on my case. I’m testing the Pilot APP (full version) on my iPhone now for a couple of days and it is really working fine. It detects when I’m leaving/arriving home and informs Domoticz about it. What I’ve noticed is the location when it detects I’m leaving or arriving home. This could be a bit closer to my home. Is it possible to make this configurable in the settings so that it is detected earlier I’m leaving and detected later that I’m arriving home? Secondly, I would like to have visualisation of the status of the lights. Currently for my Philips Hue lights is doesn’t clearly state if they are on or off. It says: Dim 98% when they are Off. A graphical display/dashboard style will provide a faster overview which lights are ON or OFF. I’ve found the solution to adjust the moment when it detects when I’m leaving/arriving home. I’ve adjusted this in the settings of the app. It detects now later when I’m arriving home and it detects earlier when I’m leaving home. This is perfect. A better graphical representation of which lights are ON/OFF would be appreciated. I also have issues when trying to unlock everything. The app works as intended when running in Free mode, but as soon as I unlock the full content, the app starts crashing on my phone. I have deleted the application several times, and rebooted the phone, but the issue is still the same. By any chance, can you tell me wether you’re using advanced Domoticz configuration like room/floor plans? I might need some more feedback so that I can fix that issue. I have set this up and it all works like a charm. however i see in the log that the event is triggered every minute. so if I am home and i turn of my lights after a minute everything goes on again. not sure if i missed some configuration item or so? You might wanna try higher your home location radius. That way it won’t trigger as often. I’m using the APP with great pleasure, when I leave/arrive home the app almost always updates Domoticz and based on this I can start different events. Perfect. What I do notices that I left home while making a phone call, during this call there as no data connection and thus my “Phone@home” switch in Domoticz was not set. 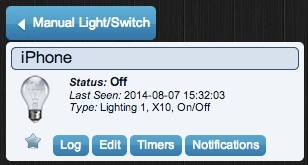 Can you APP be improved that at certain intervals it still checks if the phone status in Domoticz is set correctly. And it there is a mismatch it will correct the status. Because then will finishing the call it will still update the Phone@home status within Domoticz. THis would make the deployment more robust. I followed your tutorial but for some reason it doesn’t work. The switch I made isn’t turning on when I’m at home. I am able to swith it on manually, even trough the app. But it doesn’t do it based on my location. And yes, I did set my location right. Hope you can help me out with this! * Is your server accessible from the outside? * Do you have good network coverage when leaving/getting home? * Do you have local settings setup in Pilot? * Are you triggering an On/Off device? * Did you enable “location services” in your iPhone settings for the Pilot app? * Did you try setting up another location as your home (any location works), and see if the “leaving event” works that way. Please let me know how these tests go! My server is not accessible from the outside at this moment, but I configured the app with the local IP adres, so I figured it must work as long as I’m on my wifi. For example, I am able to switch those switche On and Off trough the app. And yes, I am triggering an On/Off device in the app and I did enable the location services. Also the location I set up is right. Now I got it remote accessable it does work, but only when I remove the local server. Thanks for your help! I learned not to ‘protect’ the switch used. If you do Pilot can not flip the switch anymore. At the moment, I don’t really know what is going on, can you try disabling, and then reenabling the location services? Not sure if that could help, I will let you know if I do. So that’s why it doesn’t work anymore!! I also installed 9.3 and I can confirm that disabling and enabling does NOT solve this issue. I’m going to re-add the location, see if that works. Thanks you for the reply Patrick. – Tried setting up other locations. – Installed the 9.31 update. (Solved my link problems in Safari and mail) Did not work for Pilot. I guess I have to wait for a solution. If something comes up that solves the problem I will post it. In the meantime goodluck solving the problem. Delete your location and then add it again did it for me! Reinstalled the app after the IOS 9.31 update. This seems to have solved the problem. An easy solution. I’ve got 2 devices running the Pilot app. My own iPhone 5S and the iPhone 5 of my wife (this makes me look old – just 28yrs old though). I’ve set Events for both devices to send me an email once a device leaves or enters geofencing range. Now this works fine for my phone but I don’t get anything from my wife’s phone. It’s when I run the Pilot app (when she get’s home) that Domoticz gets the signal from the app and flips the switch from off to on. So it works but the app doesn’t communicate/work when not opened. So I think I’ve got all the settings right in Domoticz and the Pilot app but it doesn’t run in the background. Can you help me? Just to let you know, followed these instructions and it wasn’t working, but all looked to be ok. I created a new room plan called “Trackers” and added the two virtual switches into that room, and that looks to have solved the problem! Any better luck since you posted that message? Thanks for the beautiful app. I got some problems I think to configure the app. With push notifications I got the error while testing: Problem sending notification, please check the API key. I filled in the private key, generated by the Pilot app on my iPhone 5S with the latest IOS 9.3.5. Domoticz version is 3.5466 and the Pilot version is 1.8.2. And I noticed that the app on the iPhone couldn’t connect to the domoticz server several times when I’m outside on a 4G connection on my phone. Can you help me with some suggestions because I try to figure it out now four a couple of days but…..I really wants to use the geofence option, that’s why I bought the app. Are you stil running into these issues? If sending a notification doesn’t work when testing it from your server, try switching to HTTPS instead of HTTP. I have changed the http to https and it works for me almost a week now so I think the problem is solved. Still sometimes (twice this week) the notification was not send when I went away. I don’t know why but most of the time it does. I run Domoticz, and added my iPhone as a switch and created some events. When I turn on the switch in Pilot manually. Everything is triggered. But the Geofence doesn’t trigger the events. Do you know what is going wrong, maybe? That’s weird, have you tried setting another location, see if the problem is related to your current home location? Also, you can try enabling WIFI/3G to make location services more precise. Another location didn’t work either. I turned off my Domoticz. Does the location service work without being connected to Domoticz? The Pilot app has to be connected to your Domoticz server, yes. Is your server accessible from the internet (3G/4G)? I had it running with port forwarding. Will try again. Heb je wel je lokale server ingesteld op je iphone? Die setting snap ik dus niet helemaal. De vertaling in NL is ook niet helemaal duidelijk. Kun je misschien een screenshot maken (met IP geblurred) of uitleggen hoe dat precies werkt? Misschien kan ik je helpen. Is er een rechtsreekse manier van communiceren mogelijk ipv dit medium? Skype? Mijn skypenaam is hetzelfde als mijn website, maar dan zonder .com. The GeoFence location switch was working all he time for me. Suddenly it stopped! I don’t know what is changed, nothing that I am aware of! Maybe a problem with iOS10 or a new version of Domiticz? The iPhone switch in the Pilot app stays on, no matter where I am (at home or elsewhere). Did you figure out what was going on? Also, did it stop working ALL THE TIME, or only randomly sometimes? On these iPhones 3G/4G, WiFi and Bluetooth was on all the time. And it stopped working completely on two iPhones. The problem occured on two iPhones (mine and my wifes iPhone). My solution: I removed the switches from Domoticz and I removed the geo-fence settings in Pilot (on both iPhones). I reconfigured the switches again in Domoticz and Pilot (on exactly the same way I configured the original). It looks like there was no difference at all between the old and new configurations. With the new reconfigured switches everything is now working! Very strange, but I am happy again! I have the paid version of the app and I use Domoticz. Because of the new security rules from Chrome I got a new SSL certificate from ‘Let’s encrypt’. I also disabled port 80, this was necessary to make it work, yeah very illogical ;p.
Now the location service stopped working, when leaving or entering the geofence zone I receive the following message: ‘Error while sending your current location to the server.’. In the Pilot app, all the switches and sensors are working perfectly, it’s only the location service that has stopped working. I would suggest deleting the location you setup, and create it again. Hopefully that should fix your issue. Perfect! This was the solution. I had to delete and recreate the geo location node. 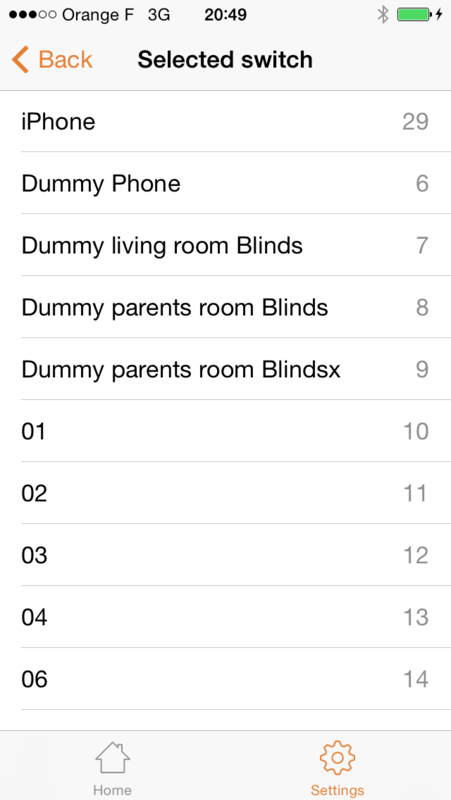 About the “gets-home” script once I have come home and the event is activated (for example, turn on the lights). If then once I’m home from domoticz or pilot or other applications I turn off all the lights while staying home then does not the lights automatically re-engage by reactivating the localization script? is it possible to connect to an hidden dummy switch. so it is not possibel to press it in the app. This is not possible as of today! First of all I would like to complement you on the briljant app you developed. I’m using it for a couple of years now. But since the last update I’m experiencing a nasty issue. First the app crashed constantly. It showed the home screen but then crashed time after time. I reinstalled the app and it is now working again except for my geofencing. I cannot select a switch when setting up my location services. I’t shows my Domoticz but it doesn’t list any of my switches. Can you try going to the « All devices » screen in the DATA tab, then try to create a geofence again? Wie kan mij helpen na het vastlopen van pilot met de laatste update voor iOS 11 heb ik de app verwijderd en weer geïnstalleerd op mijn iPhone en moest ik mijn aankopen terug zetten gelukkig werkte de app weer! domoticz gekoppeld schakelaars doen het allemaal maar helaas werkt mij locatie instelling niet meer en kan ik in deze instelling geen schakelaar meer selecteren en zie ik alleen mijn server adres staat waar domoticz op draait wie kan mij hier veder mee helpen? Ik has hetzelfde probleem. Als je in de ‘data’ tab naar ‘all devices’ gaat, kun je daarna wel weer een switch selecteren als je een lokatie toevoegd. If I go to Settings -> Location services -> New location -> Pairing / Switch, I get a blank screen. Only the servername on top and everything else is blank. I tried removing the location, deleting and re-adding the server, deleting and reinstalling the app. The iPhone software is the latest version and the pilot app is up-to-date as well. On the iPhone from my girlfriend it is working as it should. It would be nice if you can see the status in the Security Panel, maybe by highlighting one of the buttons above the keypad. I’m having the same issue as Paul did. When I go to All Devices my iphone is visible and I can switch it on and off. If I go back to the geofence again my screen remains blank. Or is there a way to create a geofence inside All Devices? I’ve reinstalled the app but no luck. Never mind, after leaving it alone for an hour I suddenly could select a switch so it works great! I created the location based option as described. What I was wondering, is there any possibility to calculate the distence between my location (the mobile phone) and the home location. Why I would like to have this? The standard geofence location (the circle around my home adress) is for some services too small. For example I would like to disable a device when I’m further away then lets say 25 Kilometers from home. Hi, it is not possible to know the exact distance between your phone and home: it would use too much battery to do so.